It may be lost on theater audiences today, but 150 years ago, that line was an uproarious mishmash of made-up yankee slang that gave “Our American Cousin” its biggest laughs. It was also, 150 years ago Tuesday, John Wilkes Booth's cue to fire a fatal shot at President Abraham Lincoln where he sat in the presidential box at Ford's Theatre in Washington, just as the Civil War was winding to a close. Productions of “Our American Cousin,” in its heyday one of the most popular plays in America, all but dried up in the decades after Lincoln's death. By century's end, it was regarded as little more than a formulaic period farce. But with the anniversary of Lincoln's death have come a spate of revivals, including ones in Richmond, Pittsburgh and Lincoln's hometown of Springfield, Illinois. Those productions are breathing new life into a play long seen as a historical curiosity, and shedding new light on Lincoln's last night and how it changed American theater. “Our American Cousin” flopped when little-remembered British playwright Tom Taylor first wrote it as a melodrama in 1852. But after he reworked it into a comedy, American actress Laura Keene bought the U.S. rights in 1858 and turned it into one of the biggest hits of its era. The premise of the melodrama-turned-farce was simple enough: A heroic Vermont bumpkin spouting nonsensical yankee slang goes to England to claim his inheritance, and outwits a bunch of villainous and pretentious Brits along the way. Hilarity ensues, in the form of a lot of broad, slapstick comedy and bad puns. “The play itself wasn't very deep or sophisticated,” explained Bill Wallace, a theater professor at Monmouth College in Illinois who directed a 2009 production in nearby Galesburg for the 200th anniversary of Lincoln's birth. “It was a kind of piece of escapism,” he said — especially welcome for war-weary audiences craving light entertainment and a celebration of American identity. How much of that was Taylor's doing and how much the actors' isn't clear. He's encouraging his actors to do the same in his own revival of the play this week, in an effort to recreate the way actors would have performed it 150 years ago. That means that when characters make terrible puns, the audience will groan, and his actors will react. 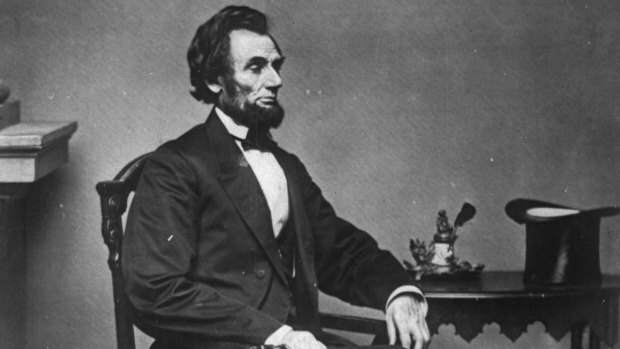 The night of April 14, 1865, Lincoln hadn't especially wanted to go to the theater at all, experts say. He and his wife were regular theater-goers, but that Friday night, he wasn't up to it. “Lincoln was actually kind of tired. He didn't really want to go,” Barnes said. Still, the night's show was a special one, a benefit for star Laura Keene herself. The brothers of theater owner John Ford, who were running the theater that day since he was out of town, wanted a notable guest like the president there to help draw a crowd, according to Barnes. A playbill from the performance of "Our American Cousin" at Ford's Theatre on April 14, 1865, the night President Abraham Lincoln was assassinated there. Drawing a crowd that night was already a challenge, Fatla added: It was Good Friday, not exactly a night the devout might head to the theater. So one of the Ford brothers sent a personal message to Mary Todd Lincoln, inviting the first couple to the night's performance, and she accepted, Barnes explained. Once they got a definitive RSVP back from the White House, the Ford brothers spent much of that afternoon scrambling to prepare for their high-profile guests, decorating the presidential box seat with borrowed bunting and flags and then getting the word out that the president and his wife would be attending, according to experts. Their efforts paid off, and for that night's show, the 1,700-person house was close to full. The Lincolns arrived with their theater companions, Major Henry Rathbone and his fiancee Clara, about 15 to 20 minutes late — not uncommon in theater of the time, and not a faux pas as it might be today. When they did, the orchestra played “Hail to the Chief,” and the actors on the stage paused to acknowledge his entrance, in a reflection not just of his stature but also of how audiences treated theater in the mid-19th century. “You went to be seen,” Barnes said. The inability back then to dim the house lights completely was one reason why, Nathans said. “The audience can see each other, and the president is particularly visible. There is that element of performance in going to the theater,” she said. Because Lincoln was so close to the stage, too, the actors directed many of their ad-libbed asides and jokes to him in particular, with one even making what Fatla called “a terrible joke about the draft.” Lincoln would have engaged them, too, he said. “Our American Cousin” had been a hit with American audiences for more than seven years before April 14, 1865, but in the decades after, its popularity began to wane. Experts disagree on when exactly and on why, and on whether the taint of tragedy played a role. Fatla suspects it doesn't, citing performances over the next decade, before its humor became too creaky, its formula too stale. “I think it was mostly just because its lifespan ran out,” Fatla said. The play wound up regarded, Barnes added, as “just another 19th-century farce,” seldom anthologized and not really deserving to be. But the assassination at Ford's Theatre did have a profound influence on the state of American theater, and to other experts, on the future of “Our American Cousin” as well. 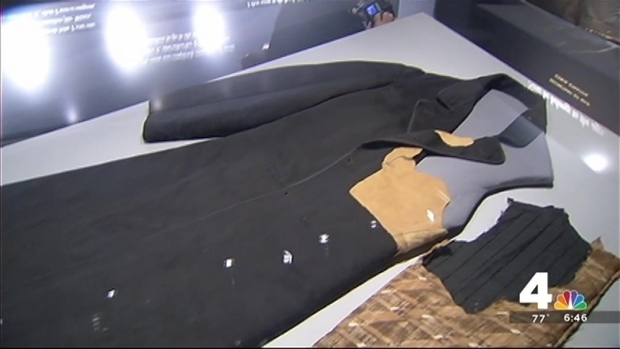 For the first time, an incredible collection of historic items that no one has seen together since the night of President Abraham Lincoln's assassination is on display at the Ford's Theatre Center for Education. The theatre spent three years building a special exhibit, News4's Aaron Gilchrist reports. Historian George C. Odell, she notes, chronicles only two New York revivals in his authoritative “Annals of the New York Stage”: two in the 1870s, when the volume says the play was “hauled out” for the actor who had turned in the definitive version of the Dundreary character. The revivals, however, didn't appear to catch on, Nathans said. Complicating matters for “Our American Cousin,” for Ford's Theatre and for American theater as a whole was the fact that Lincoln had been shot on a Christian holy day, at a time when some powerful clergy already considered theater immoral. “It revived the controversy about whether theater is anti-religion,” Nathans said. That notion, coupled with the fact that Booth himself was an actor, also intensified the pressure on actors and theater-owners in the years after Lincoln's killing. “Actors had much more pressure to prove their theaters were not places where criminals lurked. Theaters were already fighting clergy who thought that theater was immoral,” Barnes said. Ford's Theatre itself eventually managed to reopen, but it took more than a century for it to recover, after losing its own struggle to overcome the taint of tragedy. Ford himself never managed to reopen its doors as a theater amid the ferocious public backlash after the shooting, and a year later, he sold it to the federal government, which gutted it and converted it into War Department offices. Decades later, those offices' interior collapsed, killing 22 clerks inside. It would be another 75 years before Ford's would become a theater again.